Working together with a veterinarian you like and trust is critical to providing the best pet health care for your cat or dog. If your pet is seriously injured or becomes ill, your dog and cat vet is the single most important person in your life at that time. You need to be able to discuss veterinary pet care concerns with your vet and be comfortable asking questions. You want a vet who is working with you so together you take great care of your pet! It’s a good idea to interview a new dog and cat vet to make sure you are a good match. Schedule an appointment without your pet just to speak with the veterinarian. This is the best way to ask all your questions and you can get a good feel for the doctor and the practice. You will learn a lot from how the doctor listens to you and how he answers your questions. You can ask for a tour of the facility as well. You can also “interview” a new vet on your first visit. When you make the appointment, tell the receptionist you have questions so she can schedule extra time. Realize, though, that you won’t have as much time to ask questions, as the vet still needs to examine your pet and discuss your pet’s care. It’s best to do this when your pet is healthy. 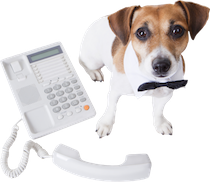 You can also get some of your pet health care questions answered in a phone call. The receptionist should be able to answer them. The most important thing is to ask the questions! This is the only way you can really evaluate the dog and cat vet care and the practice to find out if it’s the place for you. Will the dog and cat vet give you a prescription to get medicines at a pharmacy? If yes, do they charge you for it? What is their procedure for emergencies and after hours care? How do they provide vet care for hospitalized pets overnight? 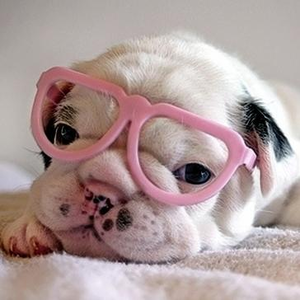 Does the dog and cat vet refer to specialists if your pet needs extra help? Are there some nearby? If there are multiple vets in the same practice, will you always see the same one? How does the vet feel about herbs and supplements? Does this vet provide any complementary therapies (like acupuncture) or does he know someone to refer your pet? If you prefer to feed a home cooked or raw food diet, what does the vet think about that? Does the practice offer payment plans or other ways to help you pay for unexpected bills? For more information on vaccinations, check out these articles! Don’t be impressed by what school your dog and cat vet attended. Your doctor won’t be automatically better because she went to a specific school. However, you do want a vet who keeps up with advances in medicine. Our understanding of diseases, and how to treat them, changes as new research is done. Providing top level veterinary pet care is an ever changing responsibility. If your vet is not keeping up, he may not be doing the best for your pet. An example of that is a vet who wants to clean your pet’s teeth without anesthesia. Although it sounds like a great idea to you, it’s wrong. The vet cannot do a proper job and you will be paying money for an inferior procedure. So how do you evaluate a doctor’s ability? Ask about the equipment the practice has. A dental x-ray machine is required to examine teeth completely. Digital x-ray machines, ultrasound, and lasers are more advanced. They would indicate the practice is progressive, and generally speaking a progressive practice tends to provide excellent pet health care. However, they are expensive so a good practice may not have them yet. How do they monitor pets that are anesthetized? Every practice should have some type of equipment for that purpose. Do they give pain medicine to every pet that has surgery or serious injuries? The old thinking was that some pain would keep pets from moving around. We now know that pain control is essential to proper dog and cat vet care and anything that would hurt us will hurt them. Are blood tests required before they give anesthesia? Do they advise blood tests for all senior pets? Finally, does the facility look and smell clean? Is it well maintained? After all, if they aren’t fixing a broken chair, what else are they cutting back on? You also need to consider her communication skills and the rapport you have with her. You want someone who answers your questions in a way that you understand (not a bunch of medical jargon). You want a dog and cat vet who doesn’t mind you asking questions in the first place. If you want more details, ask for them. Your vet should be happy to explain all about their pet health care policies and protocols. If you don’t want a lot of details, ask for the bottom line. If it’s obvious the vet doesn’t like being questioned, it might be best to search for a different clinic. Trust your gut. If you get vibes that you won’t get along with the vet, look for another. Not everyone is a good “fit” for everyone else. We all have personality differences that can make it difficult. Besides the dog and cat vet, though, look at the whole practice. Does the vet care about the support staff? How does the staff act? You want people who enjoy what they do and gush over your pet. After all, this is your baby! You want everyone to make your pet as comfortable as possible. For example, does the clinic use the same needle to administer the vaccine as they used to draw it up, or do they use a new one? This matters because it has been proven that the more times a needle is used, the more dull it becomes, and causes a more painful “stick” when it enters your pet, whereas a new needle can barely be felt by most pets! Non-slip pads on the exam table so pets don’t slip and slide are also a nice touch. The pet health care staff can give out lots of treats, with the pet parent’s permission! Like peanut butter in syringes to squirt onto the table if a pet is nervous or excited about an exam. 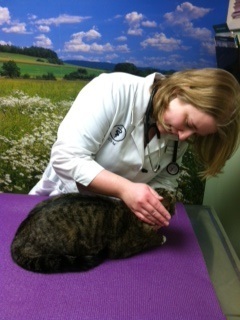 Distractions are great for pets when they are in the clinic! 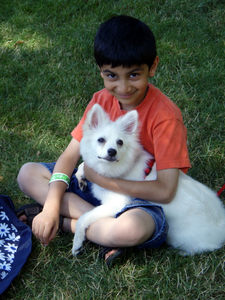 The clinic should also be taking extra time if a pet is nervous to help calm the pet, speaking slower and softer. The staff should be doing everything they can to make the visit as easy and pleasant as possible for your pet. Different vets have their own tricks, but you should see some of them in action when you visit. Find a dog and cat vet you genuinely like and feel good with. Find one that you are comfortable asking questions. This needs to be a partnership; the best vets want to do the best for your pet as well as for you, and they want you to understand what is happening. 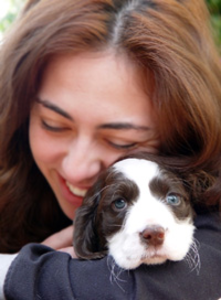 Compassion and quality should be the most important components for great veterinary pet care! While you are on the hunt for your favorite dog and cat vet, you might also want to look into pet health insurance. Yes, it's a thing! Check out our article here - Pet Insurance: Is it Necessary?